Title" Heian Beauty & Cat "
Japanese style painter at the middle part of the Edo period. Patriarch of the Hanabusa school. Itcho was born in Kyoto as a son of an official doctor of Ise-Kameyama Domain. His real name was Taga Yasuo. Hanabusa Itcho is a pseudonym of his last days. Itcho moved to Edo in youth. First, he studied the Kano style painting under Kano Yasunobu. Later, Itcho left the school and brought in the genre painting styles of Iwasa Matabei and Hishikawa Moronobu. Itcho was also well-known as a Haiku poet and he had relationships with Matsuo Basho, Takarai Kikaku and others. 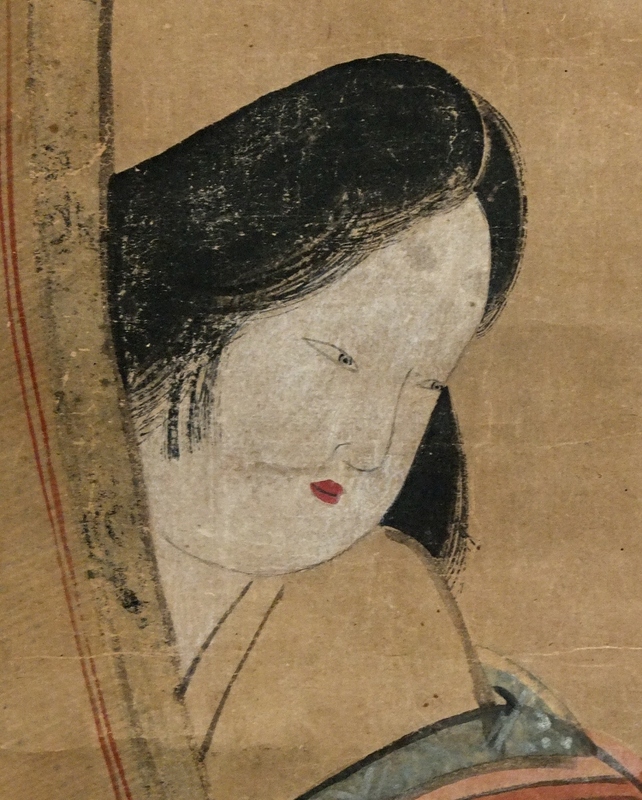 Itcho deceased in 1724 at the age of 73. 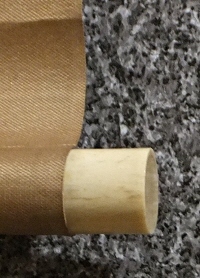 The scroll might have been re-mounted a while ago. The drawing part is a litte foxed overall as it was painted years ago. There are folds, stains and amotions of paints. 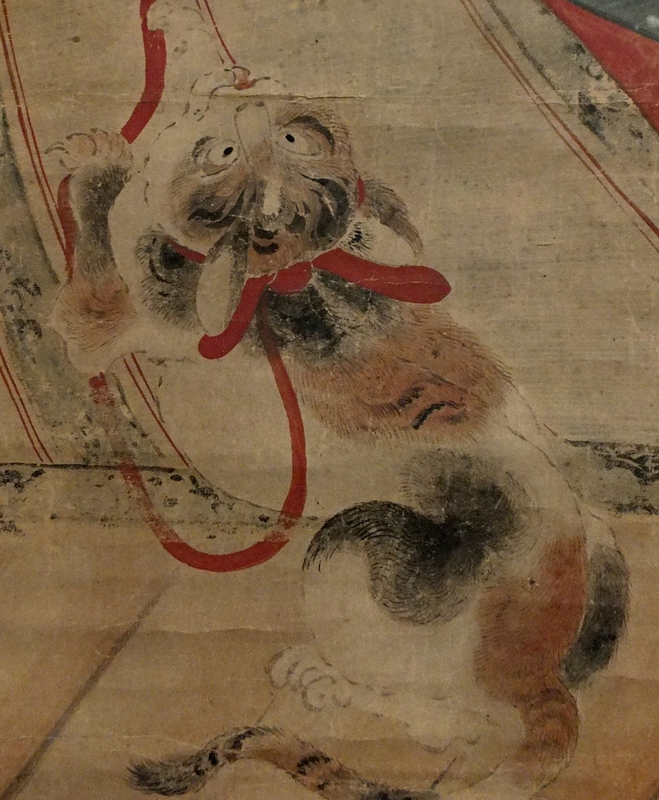 Although, a beautiful court lady (Bijin) in the Heian period (794-1192) and a cat playing with a yarn are painted artistically. 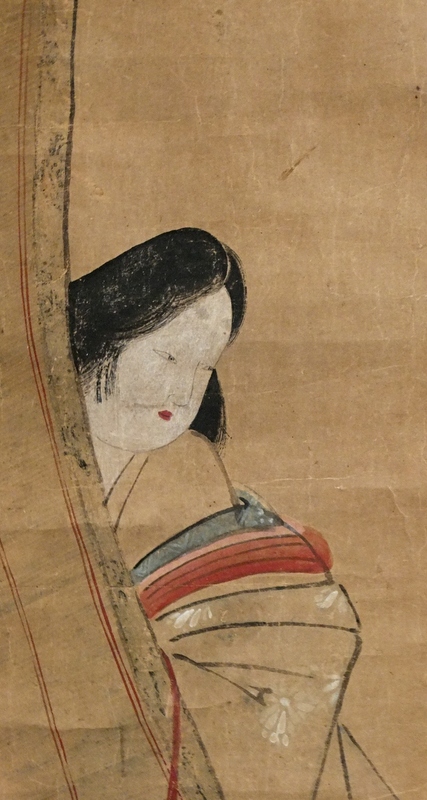 The drawing was certainly done in the Edo period.